One of my favourite days of the week with Tai Chi and Pilates classes with the wonderful @wooddsue . 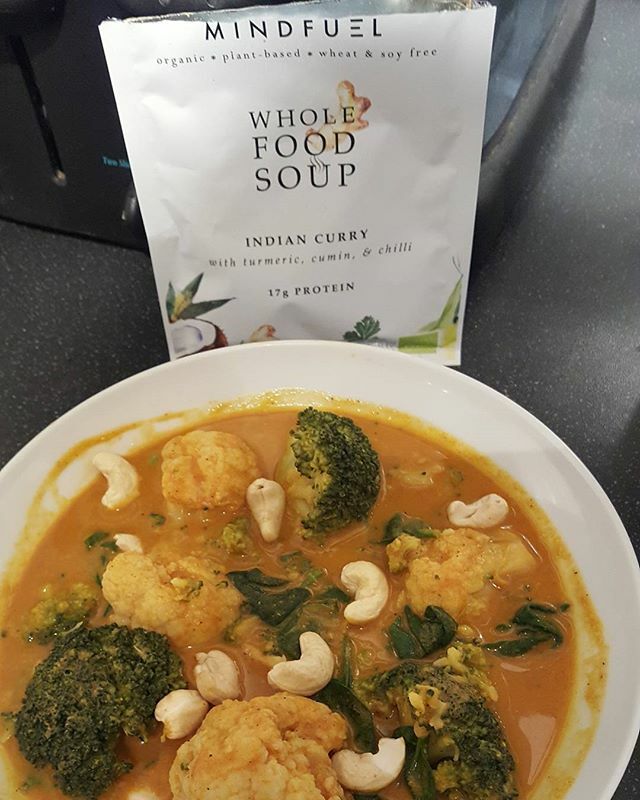 Found this packet curry soup in the Health food shop which had all natural ingredients, no additives wheat or sugar and was properly delicious. I simply added boiled water to the powder. 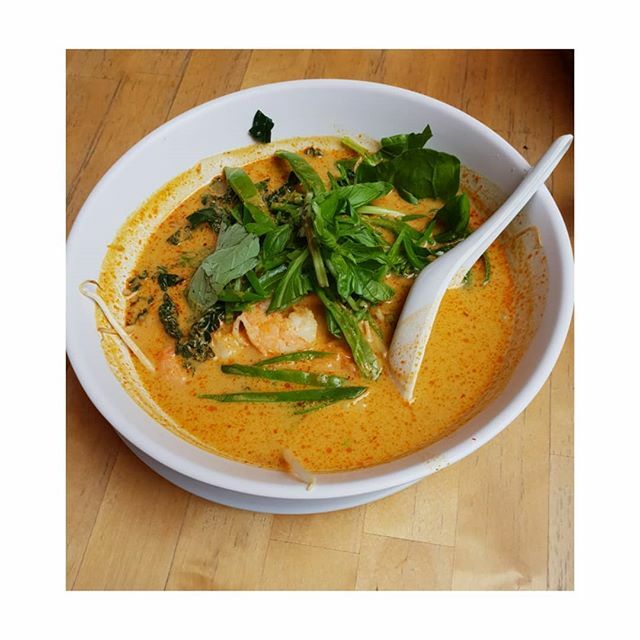 It had turmeric, cumin and chiĺli, all excellent anti-inflammatory spices and great for health and weight loss. To make the soup more of a substantial supper I added some cauliflower, broccoli and spinach and cashew nuts.